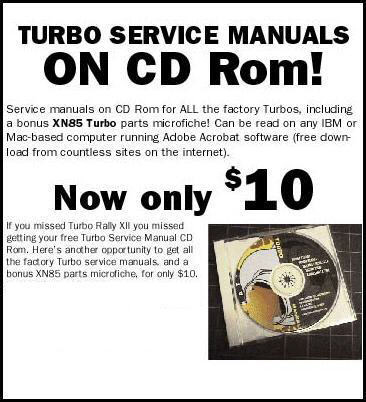 "Dedicated to the preservation of all turbocharged motorcycles"
Factory Service Manuals CD - Every page of every factory Turbo service manual plus the rare Z1-R TC Owners' Manual. There's no other place on earth to get these all in one place. Everything you always wanted to know about the factory Turbos, but was afraid to ask. It's all here. Turbo Tim says, "Ride 'em, dont hide 'em! "